Thank you for protecting Puget Sound! 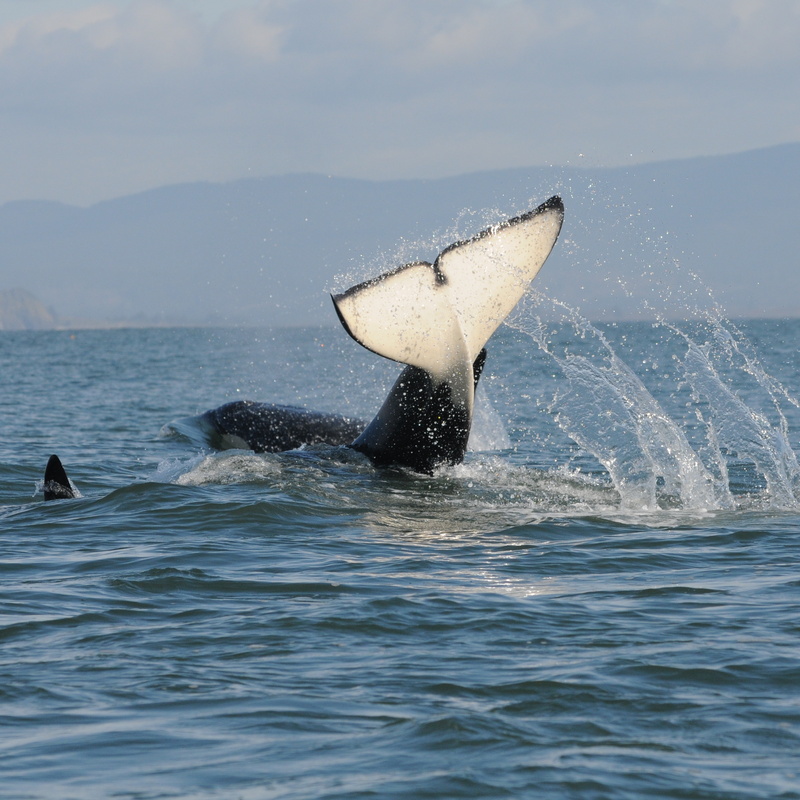 On November 16th, the Governor's Orca Recovery Task Force issued a final set of recommendations for recovering the endangered Southern Resident orca whales. The final recommendations do not contain everything that the orcas need, but are a strong step forward if they are meaningfully implemented. If you sent comments to the Task Force, thank you! You were instrumental in helping us secure, strengthen and defend priority recommendations. The time for meaningful action on these recommendations is now. Soundkeeper and our partners will work with the legislature, regulatory agencies, and our partners to ensure that action is taken. You can read more, and a statement from Soundkeeper and our partners at the Orca Salmon Alliance, on our website. 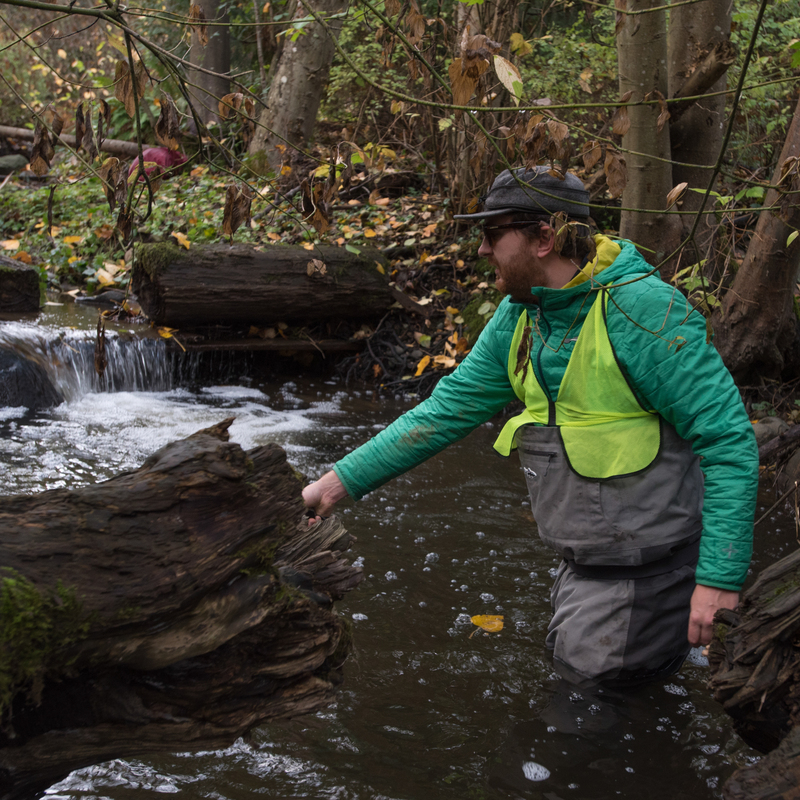 Every day this month, groups of volunteers are wading through Longfellow Creek searching for returning salmon. This is part of the annual salmon survey that Soundkeeper coordinates, to help researchers with Washington State University and the Department of Fish and Wildlife figure out how to prevent pollution from killing salmon before they can reproduce. So far, our field teams have spotted live, healthy fish and even some redds (salmon nests) in the creek, which is good news! You can read more and learn how to report sick salmon when you see them at our website. A global day of giving that unites communities in support of local organizations working for positive change. An inspirational, educational and family-friendly event to welcome the Southern Resident orcas back to Puget Sound! 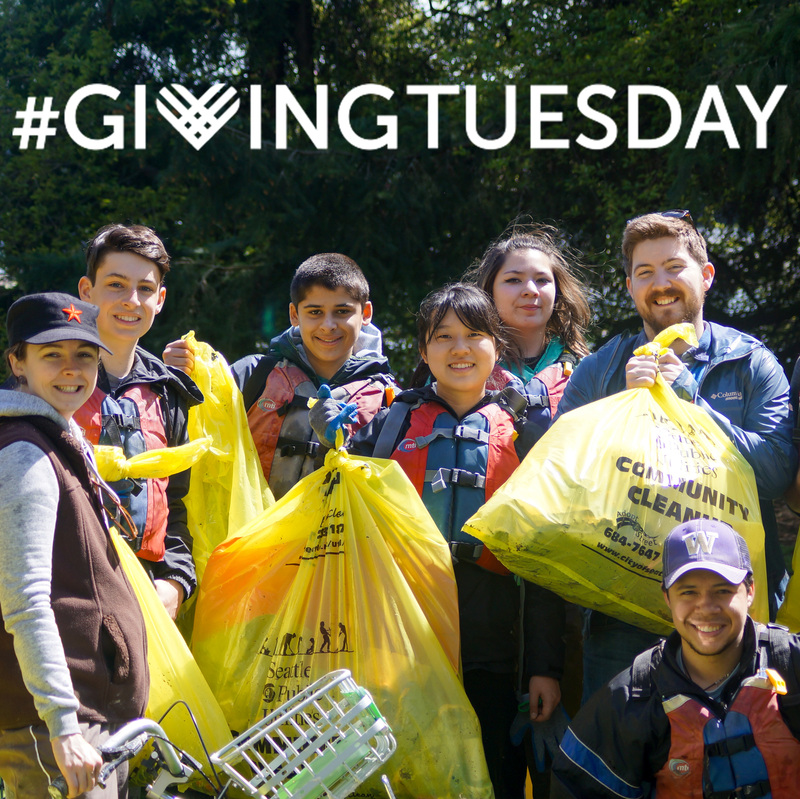 Giving Tuesday is coming! This global day of giving back focuses on supporting local efforts to bring about positive change in the community, and amplifying the power of philanthropy. Soundkeeper is proud to participate in Giving Tuesday 2018. A generous donor is matching all donations up to $2,500 - mark your calendar or make your gift today to support Soundkeeper's work to protect clean water and healthy communities. 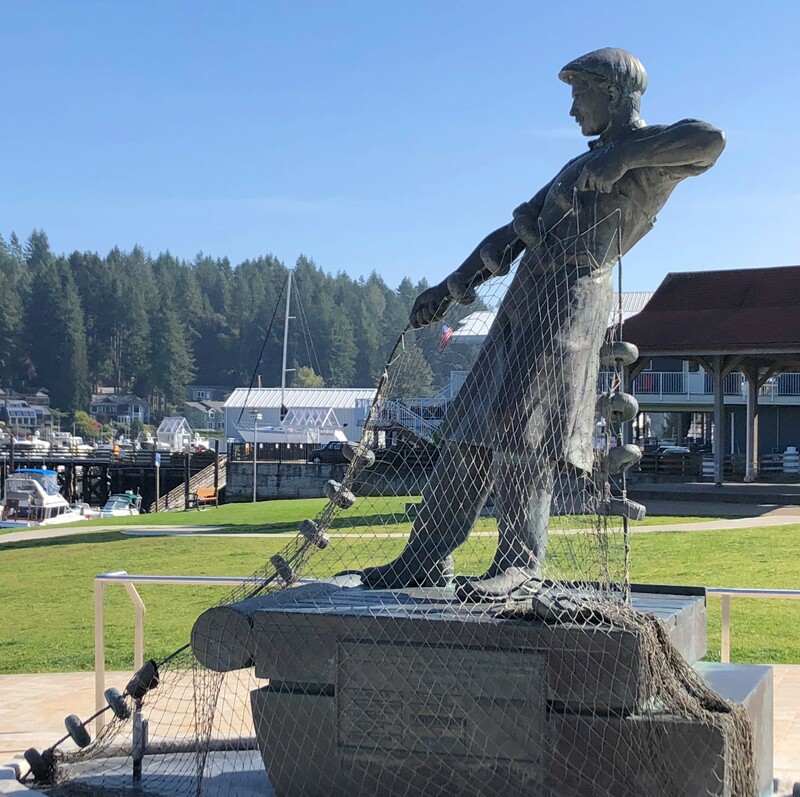 Gig Harbor Marina solidified its commitment to the environment as the fall salmon began to return. On October 11, Managing Director Ronald Roark and General Manager Hartwell Champagne of Gig Harbor Marina and Boatyard were awarded the 81st Clean Marina certification for their work protecting water quality and their commitment to communicating environmental best management practices to boaters. One of the core elements of the Clean Marina program is community outreach and education. In addition to teaching boaters to prevent pollution, Gig Harbor Marina and Boatyard partners with local non-profit Harbor WildWatch to promote youth education. Read more on the Clean Marina website. The Seattle Times has a beautiful multimedia article that looks at the threats to Southern Resident orcas — and why the Northern Residents are thriving. No one knows how much an oil spill in the Salish Sea would cost. An octopus census? Yes, every year.